Feferity Music & Arts would like to thank all who have supported our events in 2015, making them so memorable and historic! 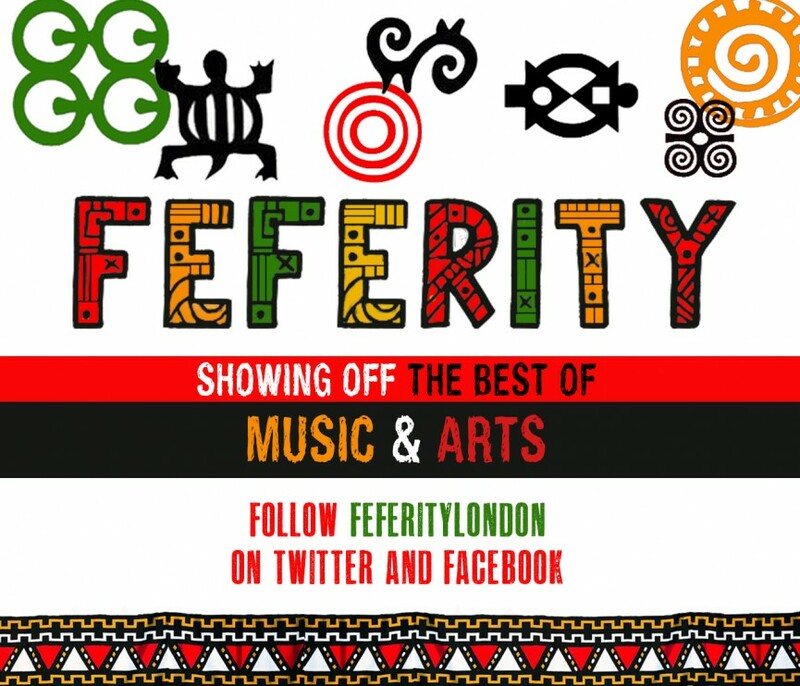 Throughout 2015, Feferity has hosted a whole range of fantastic artists and musicians of exceptional caliber at two of London’s reputed music venues. At the start of the year between January and March, we initiated a fringe event at THE FORGE in Camden called VINYL SUNDAY’S, held on the last Sunday of each month. The public were encouraged to share their musical journeys, experiences and vinyl collections with each other in an informal and intimate setting. In February, again at the Forge, BIRAM SECK and his JHANT BAND gave us a well deserved treat with fantastic Senegalese funk and Jazzy styles. Feferity action kick started in March at the Ritzy in Brixton, with BIRAM SECK and his Jhant Band, Abdulaye Samb from Senegal, MAGZEN, an acoustic Trip Hop & Afro – Folk artist from Nigeria and SHOWERS JALLOH, an Afrobeat artist from Sierra Leone. Such an eclectic talents made for a remarkable night to remember. Then the party continues at the Gold Coast in South Norwood, where EMPIRE SOUNDS entertained the Gold Coast audience with their versatile style of modern beats ranging from Afrobeats, Soul to Jazz. In April Feferity promoted SON YAMBU, a 10 piece Cuban band reflecting on the roots of modern Salsa at the Forge, but unfortunately it was cancelled. We look forward to working with the band again in 2016! However, April at the Ritzy still went off with a BANG! featuring two massive icons of African music both international and nationally. We are talking about ALFRED KARI BANNERMAN and BABA ADESOSE WALLACE. KARI BANNERMAN, a GRAMMY Award nominee, has appeared on so many compilations and compositions as he is one of the most outstanding guitar player of our times. BABA ADESOSE’s musical career started in Nigeria alongside Geraldo Pino’s Heartbeats. BABA ADE has went on to featured on compilations including SOOTHSAYERS. In London, BABA ADESOSE formed his band called IBELE and has gone on to produce an album. It was an iconic and memorable night in many ways, especially playing together at the Ritzy for the first time alongside young blood SHOWERS JALLOH. Back at the Ritzy in June, Feferity hosted one of the most fascinating events, coined “Cultural Flavours”. Seeing the Greek band KOURELOU bringing a vibrant contemporary twist on Greek Roots and complex rhythms from the South Balkans, and African BUSH DOCTOR from Sierra Leone a reggae artist play together was inspirational. You can always watch all these performances on our YouTube channel. Feferity round up 2015 in awesome style by featuring Founding member of Osibisa DELL RICHARDSON & DIGITAL INTERFACE BAND. This event was billboarded and marked as the event of the year!! It was a party atmosphere and boy they delivered! Also thanks to AL DES who did a lovely acoustic set. Many thanks to everyone who made it to our events 2015 and we look forward to seeing you all in the next year!! !